Do you have broken home appliances? Have you been running up and down looking for an appliance repair professional without success? Look no further. We are honoured to announce that we are the most certified, experienced, and trusted service provider. We are readily available 24/7; hence you do not need to freak out when you have a problem that requires a quick fix in the darkest hour of the night. When you call, we know that you need help as soon as possible. Our dispatch office will, therefore, send a group of skilled technicians who will examine the issue with your home appliances and provide workable solutions, provide you a complimentary quote, and fix it as quickly as you append your signature on the contract. Have you ever gone to a repair company which informs you that they only fix home appliances form a specific brand? This can be heartbreaking. Over the years we have been in business, we have taken note of the different brands that our customers use; hence we have bought the required spare parts that help fulfill varied needs of our ever-growing client base. Moreover, our technicians are highly proficient, and they know the parts of different home appliances like the palm of their hands. For that reason, you can be guaranteed the very best repairs that you cannot get anywhere else. This is a rare virtual in appliance repair professionals, but we practice it in our everyday undertakings. By doing this, we develop a mutually advantageous rapport with every customer we serve, which explains why we take pride in regular repeat business, not forgetting hundreds of recommendations we get in a month. Our technicians come to your property with the understanding that you always have a routine; therefore they will do what they can to make sure zero interruptions. When they are through with their work, they will not leave you to clean the mess as it holds true with some of our rivals. They will clean the work area and the surrounding places and make sure they leave your home better than they found it. If you have ever worked with a less professional appliance repair service provider, you probably know the inconveniences one can go through. You take your appliance, they stick with it for a month or 2, when you choose to pick it, they tell you that the damage was too huge to repair! That’s not who we are. When our technicians come to your home, they will examine the nature of the issue utilizing advanced technology, and advice you on whether it can be fixed, or you need to dig deeper into your pockets and replace the device. We have heard customers grumbling that they got a quote from an appliance repair service provider, accepted it and signed a contract. But when time comes for them to pay, the specialist charges 3 or four times the amount initially quoted. Our company believes that the reason we are considered as a market leader is that we are honest in our undertakings. When we provide you a quote, we adhere to it. In some cases, our technicians discover that they need specific spare| parts to complete the job when we have already offered you the initial quote. Don’t worry! We shall discuss it with you, and provide you a separate quote for it. When paying for a service, our company believe that you must know precisely what you are spending for. This is why all our quotes are detailed, and we never use jargon on them. This way, you can clear your doubts about our authenticity. Yes, you do not need to stay for a week without your refrigerator. You do not have to purchase a cake that you could easily bake because your oven is faulty. We understand your appliance is like a companion to you, and this is why we endeavour to offer the exact same day service to 98% of the home appliances we get every day. In case the issue with your appliance is quite complex, we shall endeavour to repair it fully within 24 Hrs. A fridge can stop working at its most convenient time. 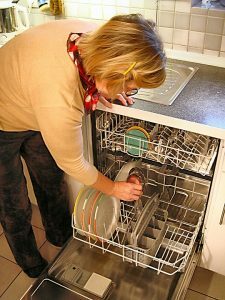 For that reason, it is of great significance to have a trusted appliance repair expert who can come to your aid when you need him the most. We are the refrigerator repair expert you have been looking for. We understand that if we do not react fast, you will not only stay without a refrigerator, but the products you have stored in the appliance will also go bad. We are, therefore on call 24 Hrs a day and 7 days a week. When you call, we shall send a specialist ASAP, and your issue will be fixed before you know it. Your dishwashing machine is an essential part of your life. You come back from work, cook some food, when you wish to clean your dishes, you discover that your dishwashing machine is not working. Then you will have no alternative but to clean the dishes by hand. Not any longer, whenever you notice this issue, call us. We shall come with the spare parts for your specific brand, correct the issue in an hour or so, and you can enjoy the convenience that accompany this device to the fullest. A washing machine provides you the convenience of easily doing your laundry. For that reason, it is an appliance you can hardly live without. 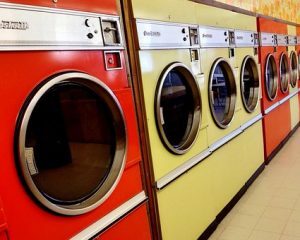 We have serviced washing machines for many years now; hence there is no issue that is too huge for us to provide a convenient solution. Call us for a complimentary quote, and within a few hours, your faulty appliance will roar back to life. If your oven is not heating, you are in the right place. 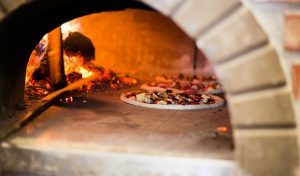 We are the very best oven repair professionals in the city, having fixed countless ovens over the past few years. Whether the issue is with the pilot light, fuses, heating element, or any other part of the appliance, we shall fix it and provide you a 6-year guarantee on our services.